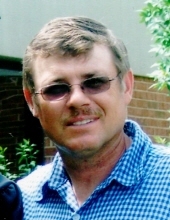 Walter Romel Coceano, 60, of Mount Crawford went to be with the Lord on Friday, November 30, 2018. Walter was born on June 17, 1958 in Rockingham County, a son of Pio and Shirley (Wean) Coceano. He was a contractor by trade and thoroughly enjoyed farming. In addition to his parents, he is survived by his wife, Kathy (Holsinger) Coceano; his siblings, Jenny Coceano-Custer and husband Joe “Jody”, Joe Coceano, Dori Thacker and husband Jay, Andria Bowman and husband Tim, his children; Joshua Coceano, Carissa Coceano and Anthony Coceano and wife Lauren; his grandchildren, Nathaniel Knight and Isaiah Knight; as well as numerous nieces and nephews, and his beloved cattle dog, Bandit. The family will receive friends from 5 until 7 PM Thursday, December 6, 2018, at Johnson Funeral Service in Bridgewater. A Funeral Mass will be conducted at 2:30 PM on Friday, December 7th, at Blessed Sacrament Catholic Church in Harrisonburg, with Deacon Fred LaSpina officiating. Burial will be private. To send flowers or a remembrance gift to the family of Walter Romel Coceano, please visit our Tribute Store. "Email Address" would like to share the life celebration of Walter Romel Coceano. Click on the "link" to go to share a favorite memory or leave a condolence message for the family.